Darfur Rebels! Who Judges Whom? Darfur Rebels Sentenced to Death in Sudan! A Sudanese court sentenced to death on Tuesday, 12 members of Darfur rebels, the Justice and Equality Movement (JEM) for participating in an attack on Khartoum last year, in which more than 200 people were killed. 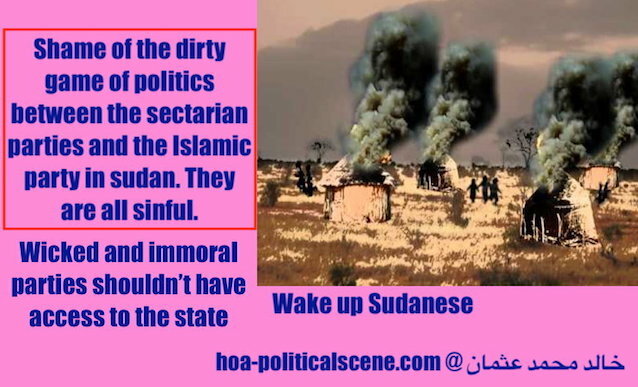 hoa-politicalscene.com/darfur-rebels.html - Darfur Rebels: Rebels making in Darfur is the shame of the so called democratic parties, which are Islamic sectarian parties and the Islamic party of Hassan Abdullah Alturabi. The sentences bring the number of those sentenced to death by hanging from the (JEM) to 103 members. Judge Mudathir said (JEM) fighters had been convicted of terrorism, murder, and destruction of public property as part of an unprecedented attack against the city of Omdurman in May 2008. The judge said during a brief hearing acquittal has given to thirteen other people because they are suffering from particular psychological situations. Darfur rebels chanted at the time of sentencing to death "God is greatest, revolution until victory," according to news agency AFP, and "Welcome ICC" according to Reuters. The Sudanese judiciary (which was a target to the Sudanese military religious regime to dissolve and change radically by replacing its cadres in place of democrats, after the coup of 1989) has established special courts in Khartoum, Khartoum North and Omdurman to try dozens of suspects arrested after the attack. hoa-politicalscene.com/darfur-rebels.html - Darfur Rebels: making is the shame of the national governments led by sectarian parties since the Independence Day of Sudan in 1956. Reuters broadcasted that Darfur Rebels drove across hundreds of miles of desert and scrubland and got within a few kilometres of Sudan's presidential palace before the troops of the Sudanese dictatorial regime drove the rebels and defeated them after fierce fighting. Sudan says more than 200 people, many of them civilians, were killed. Amnesty International condemned "the continuation of the Sudanese authorities to carry on the death penalty after unfair judicial mechanisms." And it should be noted that since 2003 the conflict in Darfur between government troops, backed by semi-Arab militias and rebel groups has killed about 300,000 people and displaced hundreds of thousands of people in accordance with what the United Nations recognised. 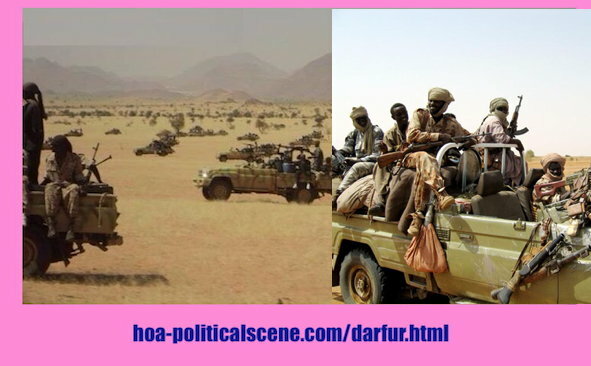 hoa-politicalscene.com/darfur-rebels.html - Darfur Rebels: are going nowhere unless they make one national movement with completely national goals. However, the dictatorial authorities in Khartoum have different figure that sums the numbers up to ten thousand only. Senior JEM official Al-Tahir al-Feki denounced the ruling, saying it would hamper already troubled on-off peace talks with Khartoum in the Gulf Arab state of Qatar where the two have yet to agree on a ceasefire. "This shows the government is not serious about solving the problem of Darfur," he said. "While our team is negotiating in Doha, the Sudanese government continues to sentence our members to death, illegally, because they should be treated as prisoners of war." 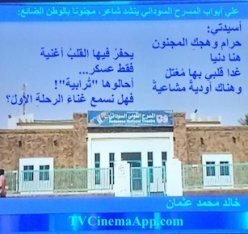 Is it a tragicomedy to have Sudanese judiciary sentenced to death 12 people from the Justice and Equality Movement? It seems to be! 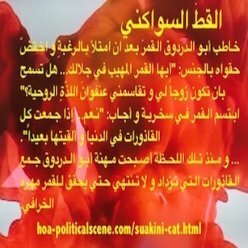 However, revolutionist factions should take care next time "to strike deep inside the forces not amongst civilians", special revolutionist source said to HOA's Political Scene. hoa-politicalscene.com/darfur-rebels.html - Darfur Rebels: The Darfur Movie: See TVCinemaApp.com. 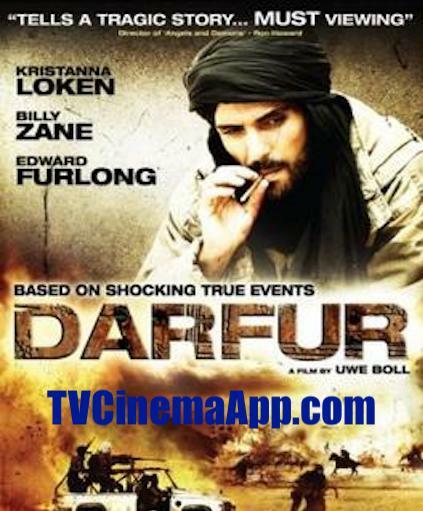 For DARFUR MOVIE, DARFUR FILM see TVCinemaApp.com. Who's Judging Whom? Is It a Tragicomedy? Such trial is a joke. But, it is a painful joke. Why? OK... When it is about Darfur rebels and trials, the question would be who judges whom. Another question would follow: Is it a new kind of tragicomedy to see dictators who came to political power through a coup in Sudan appoint judges to treat the rebels they have created in Darfur and sentence them to death? Once the decision was made after the International Criminal Court (ICC) indictment and decision to bring those responsible of the crimes inside Darfur to trials, so that indicates that the devil regime is mocking the international court and wanting to destroy evidences by destroying elements the regime uses to burn Darfur, whether now in this false trial, or in the future. More than that, the rebels in Darfur crisis were in fact started during the so called democratic governments of the Sudanese sectarian parties, when they distributed weapons too their allies in the area. Fueled by tribal conflicts in Chad, the rebels started operations and the national governments used them for political gains in the area. Please see Tchad and تراجيديا المحاكاة والشبه بين تشاد والسودان. All that has happened when those false democratic governments fell, was that the Islamic party called the National Islamic Front (NIF) has used them, when some the cadres changed allies and joined the NIF. In addition, the NIF has created during the early sixties a fundamental and terrorist group in the are called "Sony". After that when the NIF achieved the coup of 1989, they made changes in the body of the rebels in Darfur and created the Janjaweed. Other rebels groups have been created too. 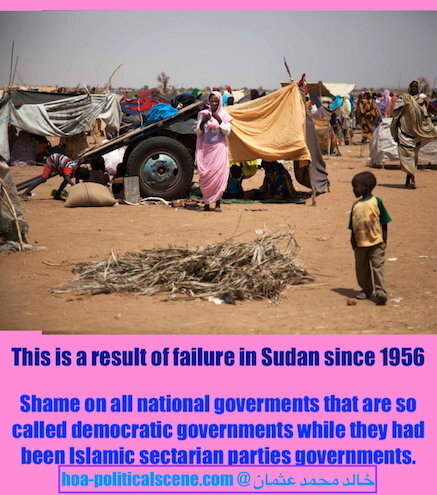 Your comments on Darfur crisis and Darfur rebels count to highlight this troublesome area of Sudan. You can do that through the form below. 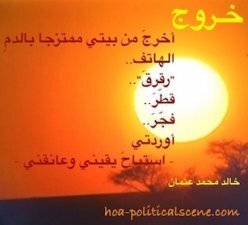 Use the same form to write your thoughts about political development in Sudan. When you go through the submission process, please elect to receive email notifications about comments on your input. Do not forget to download our "Thank You" gifts for using this form. Those gifts are invaluable and will help you develop the way you are using the Internet. You can also use the same form on Djibouti, Eritrea, Ethiopia, Kenya, Somalia, South Sudan and Uganda to comment on political development on those countries too. Be active and motivated! We need your energy to bring positive changes into the Horn of Africa. 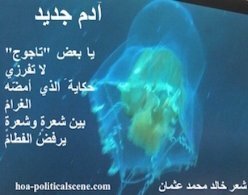 Psychology of Fear has Political Aims! Use the form here on Darfur Rebels page to apply. Check Freelancing Fees first. Good Luck! 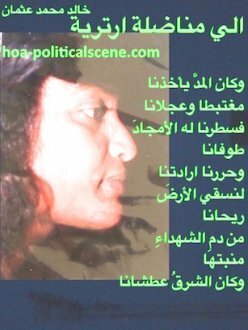 OK, if you think that Darfur rebels or other topics about the entire Horn of Africa in this website are good to reach your friends, please do bring intelligent network here by referring so many people you know. 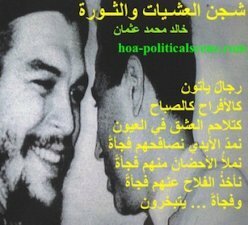 Forward HOA's Political Scene. Please encourage your friends while using that form to be Horn of Africa's Friends. 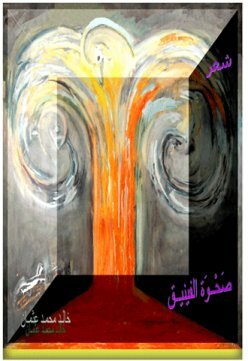 The Solo Build It tools on the link at the bottom of Darfur Rebels page empower the entire of Khalid Osman's network on this Web-space. You can use them too, to empower anything in your mind and build it a Web business not just a website. Success guaranteed!